Target was the first brick-and-mortar store to sell Amazon's Kindle, but now the two companies are severing ties. Kindle e-readers and the Kindle Fire tablet will disappear from Target's store shelves by the end of this month, Target spokeswoman Molly Snyder told Bloomberg. The retailer said in a statement that it will continue to sell other e-readers and tablets, and specifically named Barnes & Noble's Nook. Target didn't explain its decision, but The Verge cited an unnamed source who blamed a "conflict of interest." 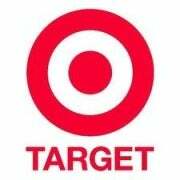 Naturally, speculation on Target's motives has run wild. Slashgear's Chris Burns wonders if Microsoft's new e-book venture with Barnes & Noble played a role, considering that Target sells Windows PCs and Microsoft is "responsible for a whole lot of tech sitting in Target retail stores right this minute." Fortune's Dan Mitchell points the finger at Apple, noting that the company is testing mini Apple Stores within several Target locations, and may have pressured Target to drop competing products. I favor a simpler explanation: Amazon and Target are competitors. Amazon sells many of the things that Target sells--not just digital media, but clothing, sporting goods, home appliances, and other electronics. If you buy a Kindle, you might subscribe to Amazon Prime, which means you get free two-day shipping on Amazon purchases. Every Kindle Fire that Target sells means potentially less business for the brick-and-mortar store. That's a pretty clear conflict of interest. Target isn't the only retailer that sells Amazon's Kindle products. Best Buy, Radio Shack, Staples, OfficeMax, and Office Depot sell them as well. Walmart--another store that competes with Amazon across many product categories--does not sell Kindle products. Not that any of this matters much at this point. Amazon has already gained a major foothold in the tablet market, and has established the Kindle Fire as a top competitor to Apple's iPad. The worst damage to brick-and-mortar retailers has already been done.